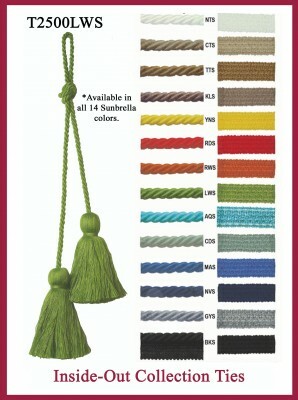 D’Kei Sunbrella Outdoor Trim! Using Sunbrella yarns, D’Kei’s Inside-Out Collection offers 14 bright and neutral colors to create the perfect casual outdoor accent. The D’Kei outdoor trim collection features Sunbrella cord, Sunbrella brush fringe, Sunbrella bullion, Sunbrella tape as well as Sunbrella Tassels and chair ties. 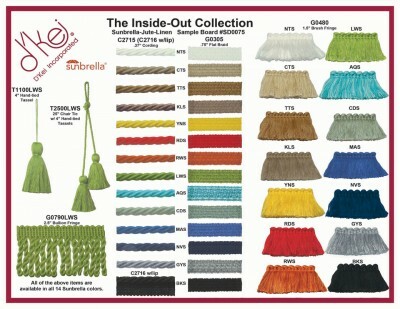 Also part of the Inside-Out Collection – Natural Fiber Trims! 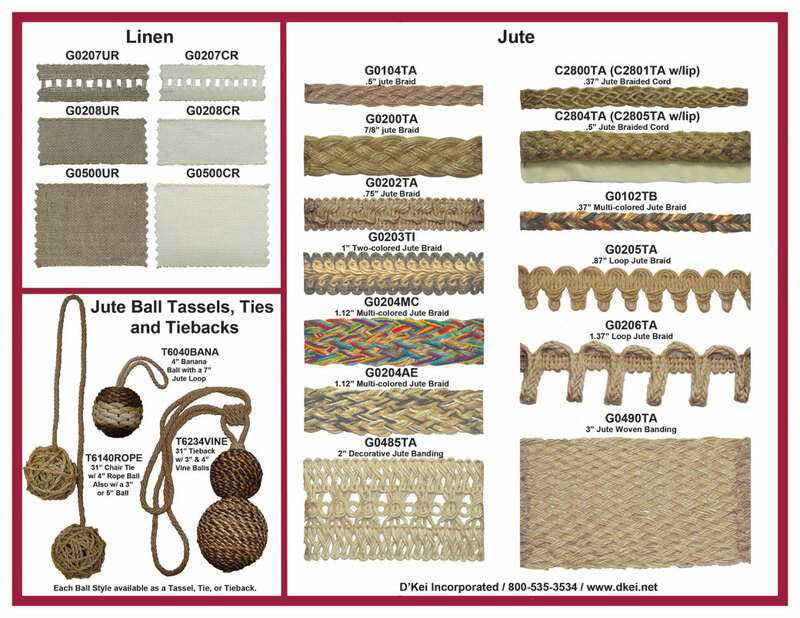 The jute trim selection offers 13 new styles including a 3″ woven jute tape, a jute loop fringe in 2 sizes, as well as jute braid in festive colors. 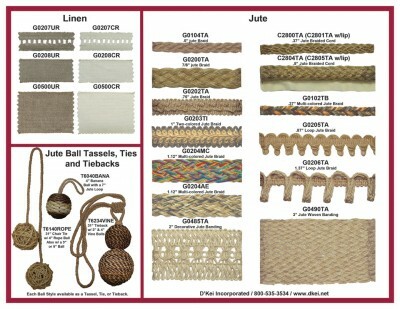 Tie it all together with D’Kei’s natural ball tassels, ties and tiebacks! Create a unique look for porches using either a rope ball, vine branch ball or banana leaf ball in a custom-made tieback, tassel or tie.